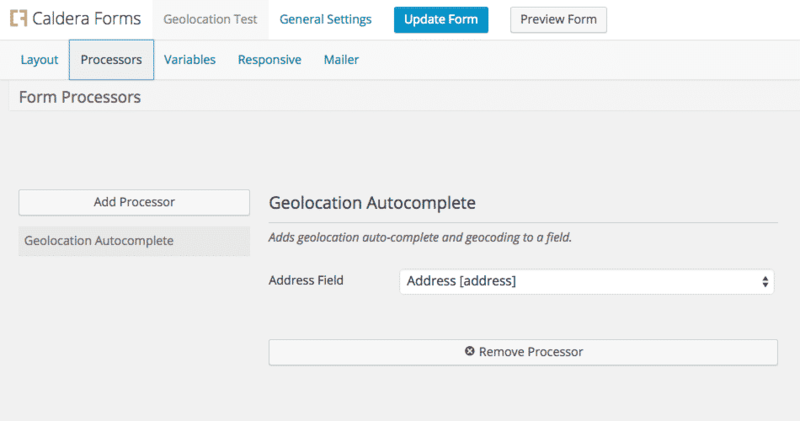 Turn any field in your form into a geolocation field. Saves fully geocoded data in the form entry, or anywhere you need it! 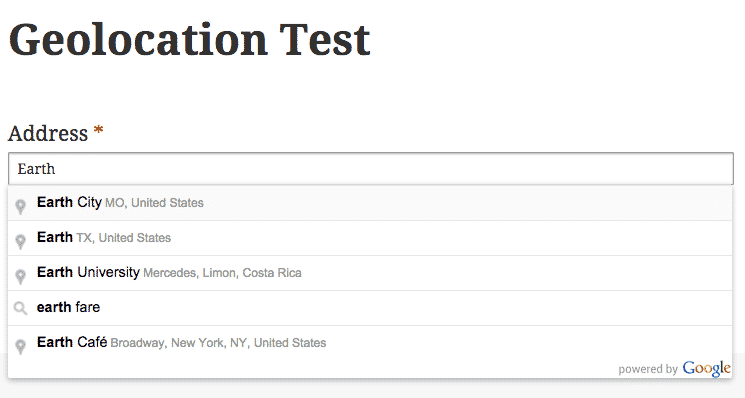 Turns any field in your form into a geolocation autocomplete field powered by the Google Maps API. 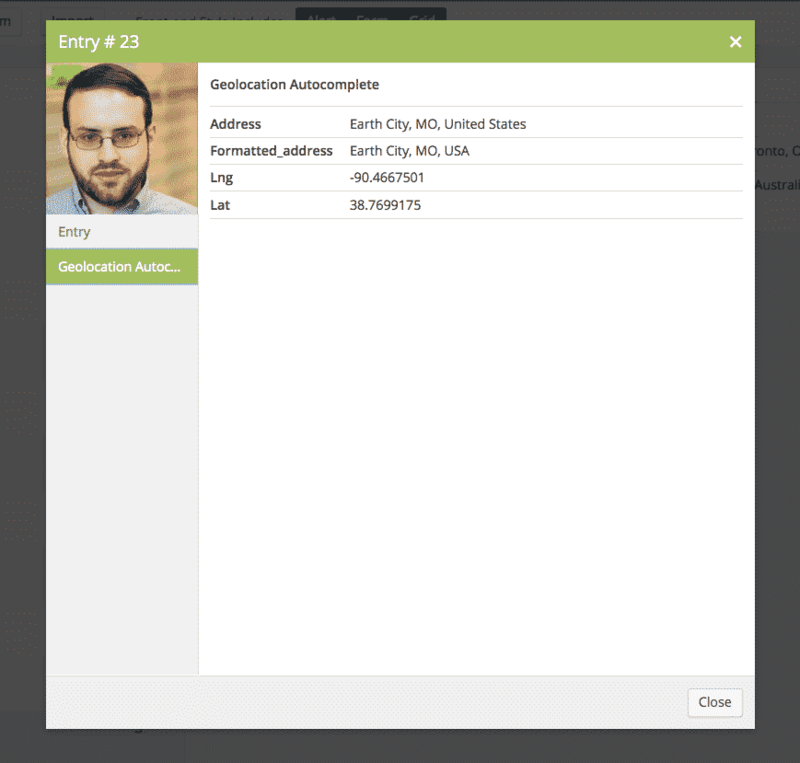 This add-on even saves fully geocoded data in the form entry. A simple and lightweight way to make it easier for end-users to enter an accurate address, and save data that can be outputted on any map. The geolocated data is automatically saved in the form entry, but using the cf_geo_autocomplete_data hook, it can be saved in any other source, or used in any other way you need it. For more information, see the documentation.